Although High Definition Liposuction is currently the plastic surgical procedure performed most often in the United States, the fundamental technique and technology changed only slightly during the past 30 years. Performance of superficial lipoplasty expanded the boundaries of body contouring by enabling the removal of fat from the superficial layers. However, this advance in lipoplasty technique also involved the increased risk of scarring, waviness, and contour irregularities, when excessive fat removal was performed. These issues led to various recommendations to avoid over-resection. Some of the earliest reports on ultrasound-assisted lipoplasty (UAL) was published in the literature in early 2000. The UAL device broke down fat cells to produce an emulsion, leading to a less traumatic procedure. However, the technological limitations of UAL resulted in a high incidence of complications,, such as burns, skin necrosis, and scarring. The first reports on the clinical application of a third-generation ultrasound lipoplasty device that utilized pulsed low-power ultrasound and high-efficiency. Small-diameter solid titanium probes was VASER (vibration amplification of sound energy at resonance) lipoplasty. The energy applied to the tissues was approximately one-quarter that of previous devices, while the pulsed mode reduced heat generation. Expanded applica- tions of VASER lipoplasty include treatment of the male and female breast, face and neck; fibrous body areas (trunk and back), and combined excisional body contouring procedures of all types Through these applications. VASER was confirmed as an enabling technology to address the superficial fat layer. In 2003, Hoyos presented a significant improvement in technique at a Colombian National Congress, which embodied a new approach to body contouring that he termed “high definition liposculpture” (HDL). The term “liposculpture” defined the technique as not simply fat removal but as an artistic approach designed to emulate surface anatomy. HDL was developed through the study of art and anatomy of the human musculature, as an artistic treatment of the human form to create not only a slim figure, but also the appearance of a highly developed musculature. High definition liposculpture elevates the concept of abdominal etching to a 3-dimensional approach, taking into account the contributions made by other muscle groups to integrate the entire torso, legs and back. The differing aesthetic goals of male and female body contouring are integrated into this method, as are key areas such as the pectorals in men and the gluteal area in women. However, the potential benefits of HDL alone could be achieved only by highly-trained surgeons, while the technique itself was exhausting for the surgeon. Adverse consequences of the procedure included a very slow healing time and prolonged swelling, which in turn required close, long-term follow up by the surgeon to avoid complications and undesirable results. The combination of VASER and HDL represents a marriage between technology and technique that allow a more precise, less traumatic procedure and improvedoutcomes. VASER -assisted HDL (VAHDL) allows the fat to be prepared like an artist’s clay through emulsification, so that the surgeon can “sculpt” muscular anatomy in great detail through gentle extraction aspiration that minimizes the trauma normally associated with traditional lipoplasty. VAHDL embodies the ultimate understanding of how superficial anatomy influences external appearance. Developed through the study of “surface anatomy” of human musculature much as an artist would view the human form,28-30 VAHDL begins where superficial lipoplasty ends. VAHDL highlights the importance of contributions made to the aesthetics of the human form by both the superficial and deep fat layers when these layers are properly proportioned both between and over the mus- cle groups. What makes VAHDL different is that we use the underlying structures as a guide to contrast the various structures that make up the 3-dimensional body contour. Unfortunately, the Vaser machine was sold to general practioners (GPs) who wanted to hone their skills in body contouring. These GPs who had minimal or no previous surgical experience or qualifications were given the opportunity to perform minimally invasive procedures that could have devastating effects if performed wrongly. The machines were sold in quick succession to GPs and they attended a crash course of 3-5 days and experimented on human subjects who were found by the GPs. After completion of the course, they were then licensed to perform High Definition Liposuction on the general public in Singapore. The GPs started to aggressively market the procedure and were aggressive in the pricing of such procedures. There was also no regulation on the use of deep sedative agents in the clinics where such procedures were carried out. This alarmed the plastic surgical fraternity who called for more safe practices in a procedure that could even go wrong in the hands of plastic surgeons. Finally there was a case of death caused by liposuction and it was indeed performed by a GP. The case received huge coverage and the death was caused by both an overdose of sedative agents and puncture of vital organs. There was a call for more safe practices and the Ministry of Health set up a liposuction committee. They could however not reverse their decision as they had previously allowed such a practice. The remaining GPs who had been performing the procedures slowly gave up the practice safe for a few members. The regulation continued to grow tighter by the year to force more GPs to give up their practice of liposuction. At present, the procedure is mainly performed by plastic surgeons. There is however a difference. Most surgeons who perform high definition liposuction perform it as a debulking procedure. Having performed High Definition Liposuction for more than 10 years now, I can safely say that the practice of High Definition Liposuction has undergone a huge transformation. The process of debulking has occasionally created results that do not quite appeal to the patients. The evolution of VAHDL has made more inroads in achieving the beautiful contour that most patients desire. It is able to give patients the results that they expect and it is able to create a more healthy and athletic build that they desire. This in turn changes the patients’ psychology and motivates them to exercise consistently to maintain their results. 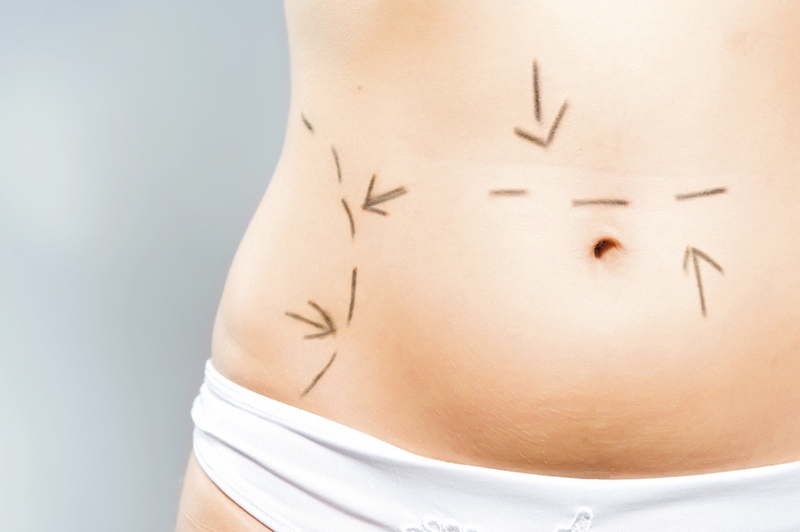 I have personally been performing these procedures using suction assisted vibroliposuction. That procedure gives quite a lot of swelling, bruising and downtime for patients. The advent of Vaser changed it and gave better results. Even though I had attended training in Italy for this procedure and found that my results had improved a bit, I was still not completely satisfied with my technique. The patients however did not complain as the debulking and contouring still achieved most of their expectations. After having trained in the art of VAHDL, I can safely say that the procedure is now very predictable and gives results that I thought were not even possible. I must say that I would personally go for such a procedure for myself to be able to achieve such results, although my BMI is at 20. The results themselves motivate one to lead a more active lifestyle.